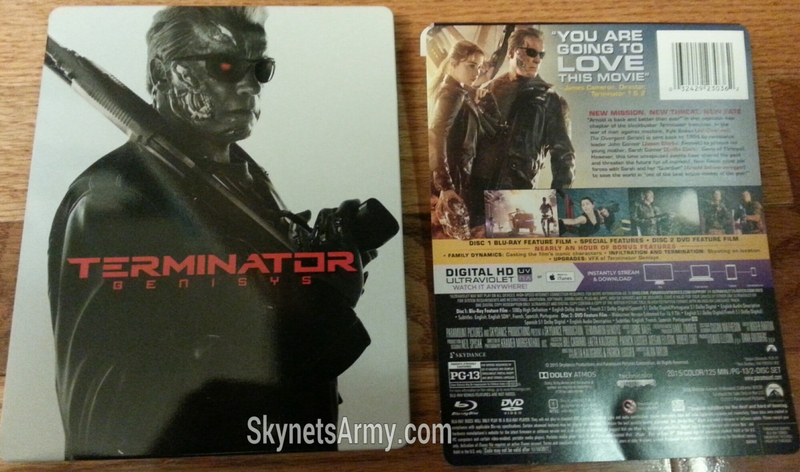 An unboxing of the “TERMINATOR GENISYS” 3-Disc Exclusive and Steelbook Edition Blu-Ray DVD sets! If you’re a Terminator fan, you know that “Terminator Genisys” is finally officially out on home video! However some fans may be uncertain on which collector’s set to purchase. Fortunately, Skynet’s Army is here to help! 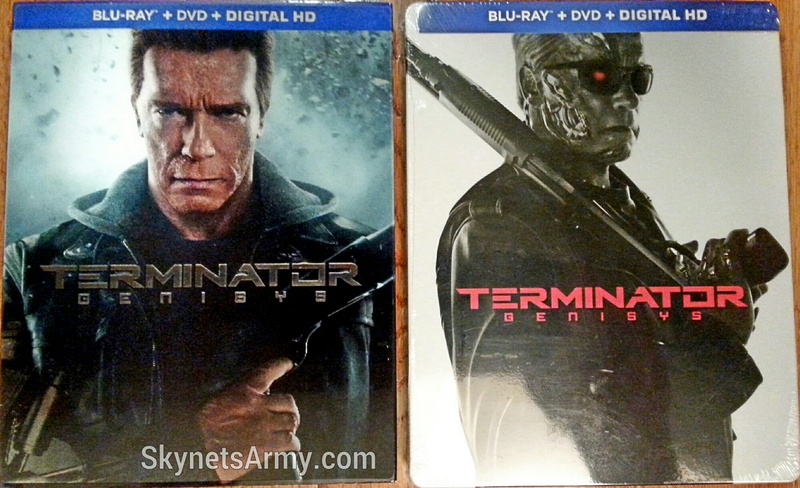 Today we’ll be doing an unboxing of both the exclusive United States’ Steelbook and 3-Disc set versions of “Terminator Genisys” which hopefully can help you make an informed decision on which set is the best purchase suited to your tastes! As you can see the cover art slips right off. Now let’s take a closer look at that cool motion art. Just slowly turn the cover and watch the full infiltration Terminator suffer through battle damage and transform into a full blown endoskeleton. Very cool! Now with some collector’s editions like the “Avengers”, the bonus disc is sometimes loose in a cardboard sleeve, but not in this edition! There is a spot for the third disc inside the plastic case. Now let’s move on to the next disc. 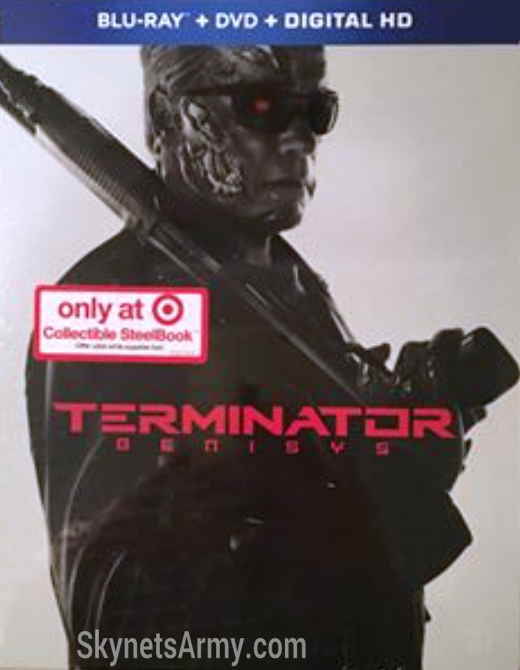 Here we have the Exclusive “Terminator Genisys” Blu-ray DVD Digital HD Steelbook from Target. Don’t worry, the cardboard back is lightly glued to the back of the steelbook and easily removable. The back of the steelbook features a beautiful shot of Emilia Clarke as Sarah Connor holding a T-800 endoskull. Flip open the steelbook and remove the discs and you’ll find interior artwork as well of John Connor as the T-3000 and Kyle Reese. Simple but effective! And there we have it. What? You still can’t make up your mind? 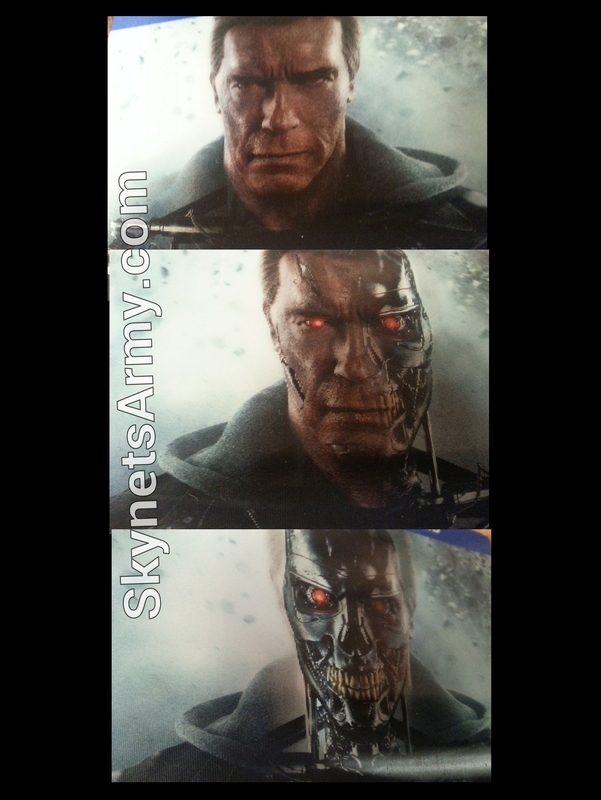 Then support “Terminator Genisys ” by buying them both and let Skydance and Paramount know that the rest of the Genisys Trilogy is worth investing in! Until then, we’ll see you again soon for another Skynet’s Army unboxing! Previous PostTERMINATOR TRIVIA Volume 1: Cool facts you may not know about the Terminator Franchise!Next PostAn extended look into what was cut from Sarah’s flashback scene in “TERMINATOR GENISYS”!